There is a short film below of the scupper filling our backyard pond with roof runoff, aerating the pond water. Our bio pond re-introduces a freshwater aquatic ecosystem to the dense urban fabric. Since building the pond, we have noticed so much more wildlife in our yard, especially birds and dragonflies. The bacteria and organisms living on the roots of the plants in the pond filter the water without the need for harmful chemicals like chlorine. The pond is an opportunity to harvest rain water, create an aquatic ecosystem and reduce the burden on the municipal storm sewer system. But it is also an opportunity for beauty. 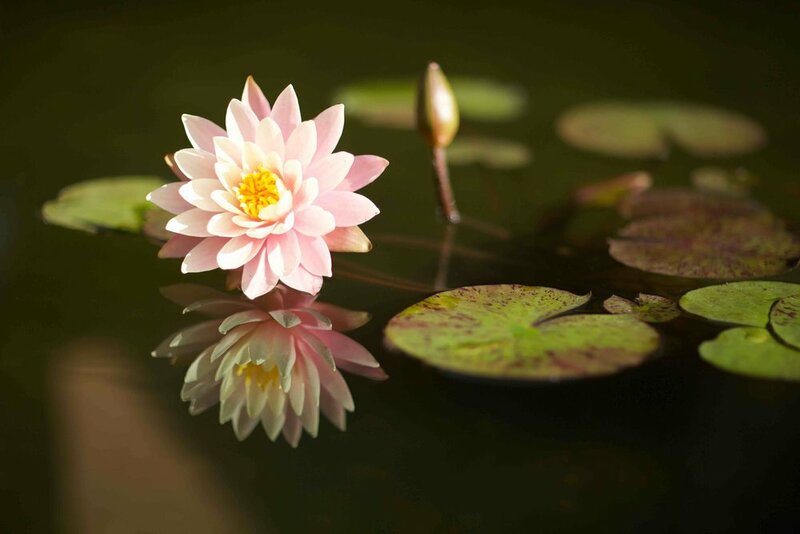 The blooming of the lily is one of those magic moments that reminds us of the magnificence of the universe and instills a deep sense of calm and contemplation.